Tank Style Dresses run very true to size. The tanks are ribbed so they will stretch or conform to the shape of your child. 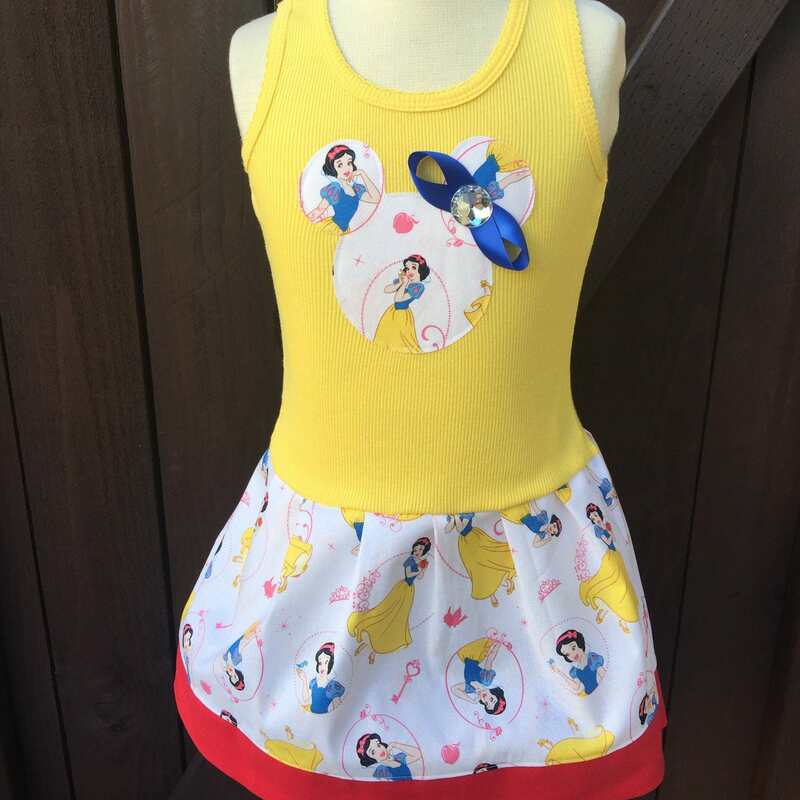 There is a character mickey head applique on the chest of dress. If this is needed for a special event, please state date needed by in notes at checkout.